John Hill Aughey (1803-1879) was a well-known American writer and clergyman in the mid-19th century. Originally from New York State, he established himself as a Presbyterian minister in the South. He became an outspoken critic of Secession in Mississippi before and during the Civil War, and this led to his summary condemnation and imprisonment by Confederate officials who neither respected his right to speak nor his clerical status. 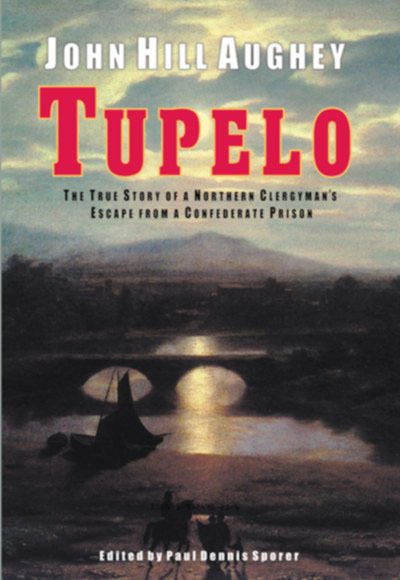 Aughey's unique autobiographical account of his life during this time, including a nearly miraculous escape from a Southern jail, opened the eyes of a nation to the brutality of the Confederacy. His detailed and objective account about his ordeal was highly praised and popular. Many accolades from well known individuals, including Horace Greeley, were given to Aughey's memoirs after their original publication. Aughey originally wrote of his personal experiences in a book called The Iron Furnace of Secession, published in 1863. He greatly expanded on this work, and published it in a new edition called Tupelo in 1888. In 1905 Rhodes & McClure published a further version of it.